This 3-day course emphasizes the project processes and knowledge areas, terms, tools, and formulas, as wel l as extends the knowledge base into soft skills such as communication, conflict management, team development and leadership. Agile Framework and methodologies such as Scrum will also be covered during sessions. 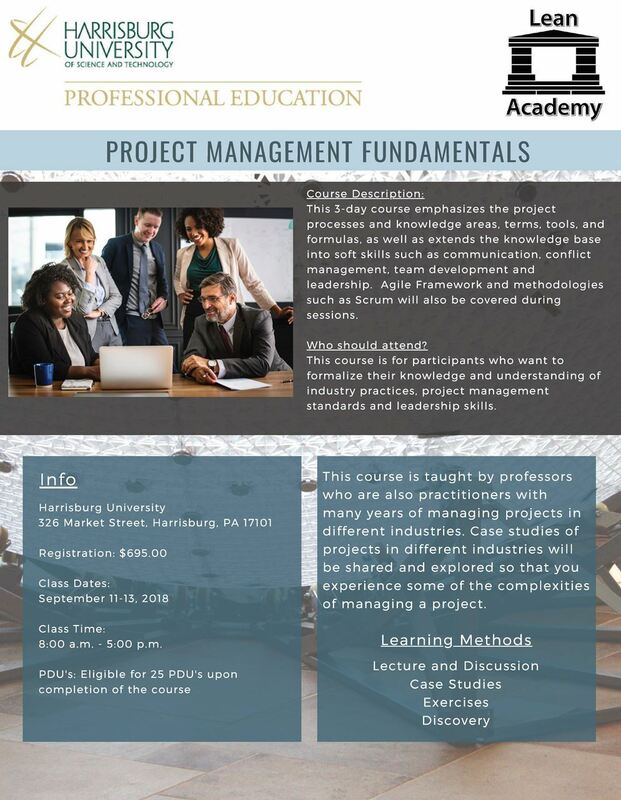 This course is for participants who want to formalize their knowledge and understanding of industry practices, project management standards and leadership skills.